A stylish cubic zirconia set silver bangle. 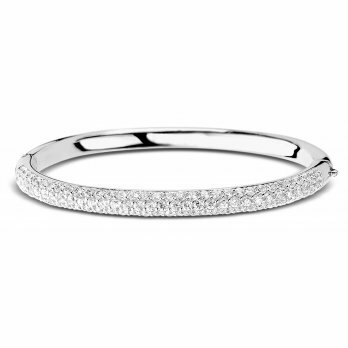 A stunning classic cubic zirconia set bangle. 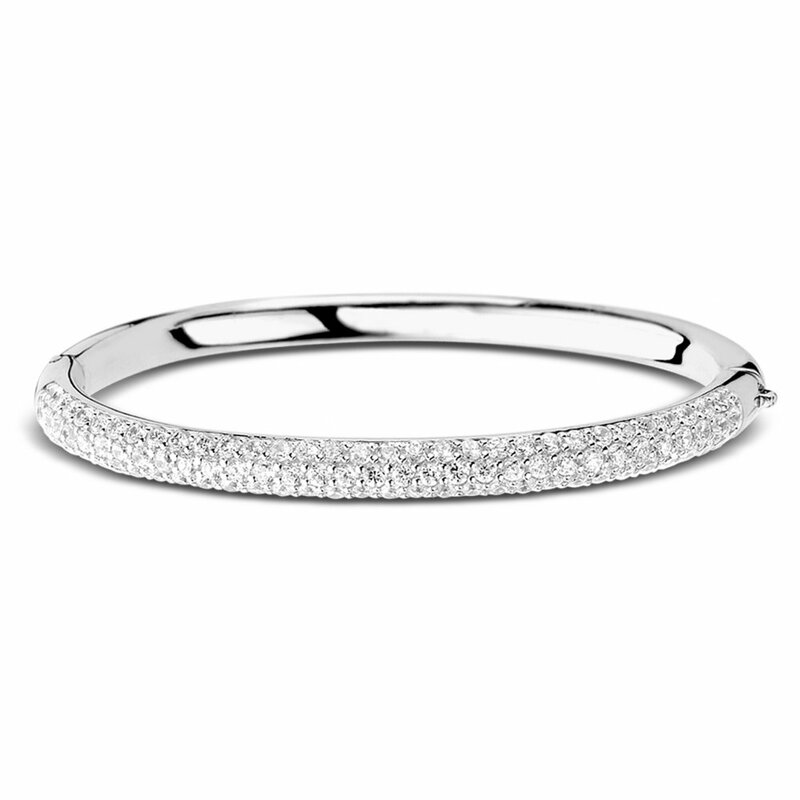 The bangle is crafted from sterling silver with a rhodium plating which gives each piece an extra sparkle and a long lasting shine. Every stone has been hand set by a qualified diamond setter into the high quality silver setting. The hinged clasp has push button with a defined 'snap' for extra security. Each Ti Sento piece comes complete with a guarantee card and branded gift box.